Here we have it our friend finds luck again. Man this little guy is so lucky. Roughabite Picture Book Comic by Cartoonist/illustrator Jamaal R. James for James Creative Arts And Entertainment Company. Hello. Hello. Our friend is back again it looks like his butterfly friend took off and into the air. She’s doing a great deal of taking him along for the ride enjoy the ride, Roughie, enjoy the ride. Roughabite Picture Book Comic by Cartoonist Jamaal R. James for James Creative Arts And Entertianment Company. illustrator. In this posting our little buddy goes on another adventure, now enjoy. In this posting of our favorite comic strip our little friend jumps into the mountain spring water and enjoys the water and calm skys. In this posting we explore our little friend on his journey. It looks likes he either found a clearing in the snow or made a clearing in the snow. It looks like he’s going to build a fire or already has one built stay warm little man stay warm. Roughabite Picture Book comic created by Cartoonist Jamaal R. James for James Creative Arts And entertainment company. snow season. children’s picture book, snow. new indie comics. After walking for a while in the snow our friend has to get other these snow filled hill mountains in order to get where he wants to go…enjoy. Roughabite Comic Picture Book created by Cartoonist Jamaal R. James for James Creative Arts And Entertainment company. Snow comic strip, blizzard. cold out side. watch cartoons online. Our friend chases after the little green plant to see if he can eat it. 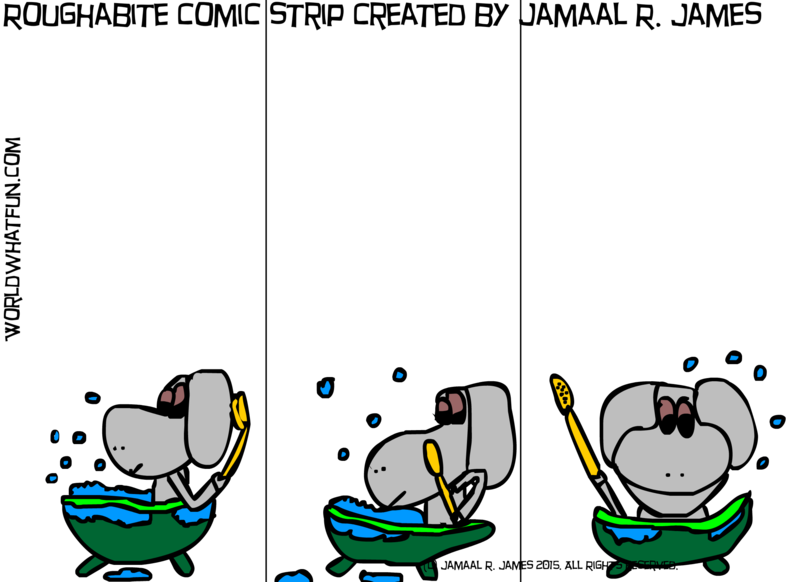 The Golden Fish Comic Strip created by Cartoonist Jamaal R. James for James Creative Arts And Entertainment Company. Ocean waterlife. 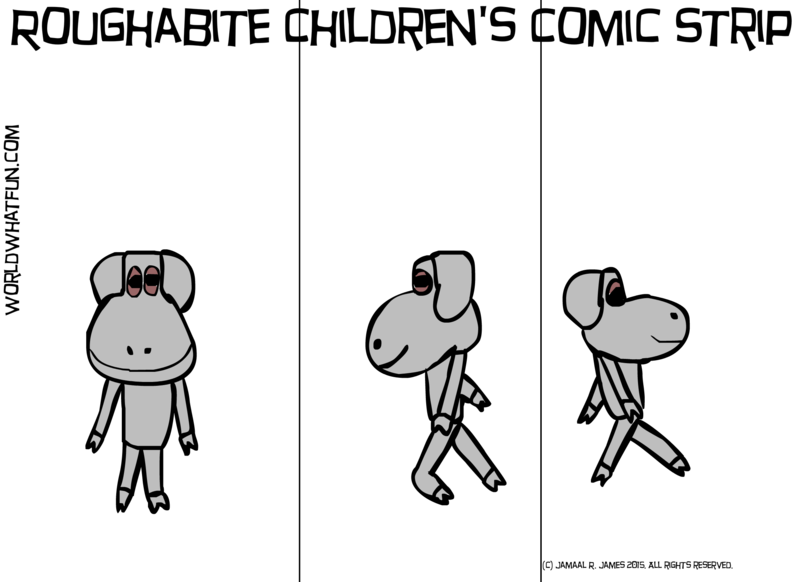 In this comic our friend goes for a walk as he contemplates his next move. Enjoy. Roughabite Comic Strip created by Cartoonist Jamaal R. James for James Creative Arts And Entertainment Company. 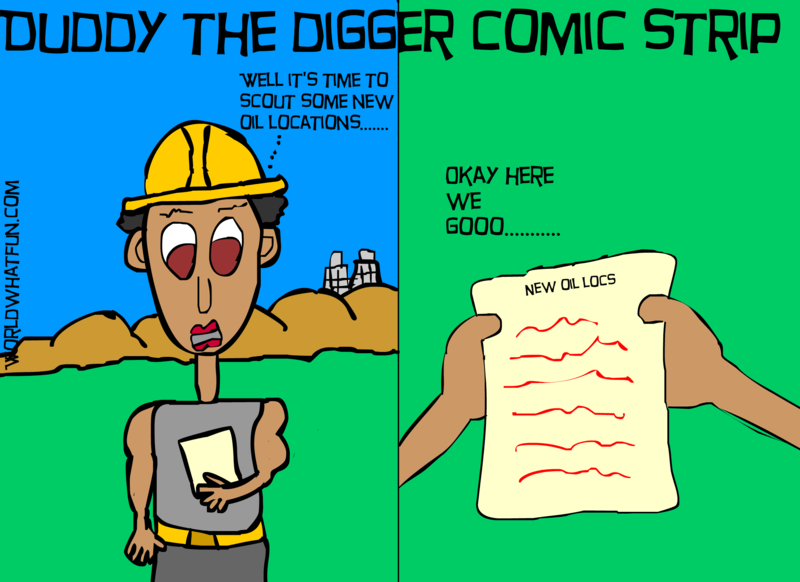 In this posting the wells where Duddy usually digs have run dry so he has to go location scouting for Duddy Tough Incorporated to find some new wells. Enjoy. In this posting after getting back from relaxing our friend decides to go and take a bath.